Duane Boom, owner of Boom Glass Art, is a true craftsman of glass art. 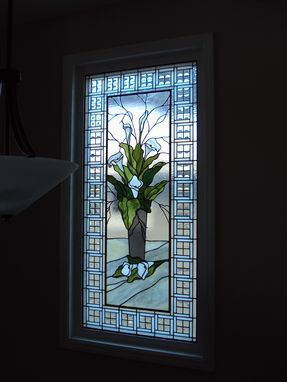 He made me an unique and beautifully crafted custom Tiffany Lamp, in around 2 months’ time, and then packaged and had it delivered/shipped professionally and securely. I am very happy with my finished lamp, and would highly recommend Duane / Boom Glass Art to do any glass art project for you. He really knows his craft and patiently listens to what you want (a photo or image of what you want certainly helps as well, which is what I provided him with), I went onto his BGA website and saw some of the projects he had completed, along with customer comments/reviews, and that cemented the deal. The one area where I didn’t give Duane 5 stars, (gave him 4) was under communication - by this I mean I would have preferred a little bit more communication from him as he was working on my project, but other than that, I give him a solid 5 stars in every other area, and overall. 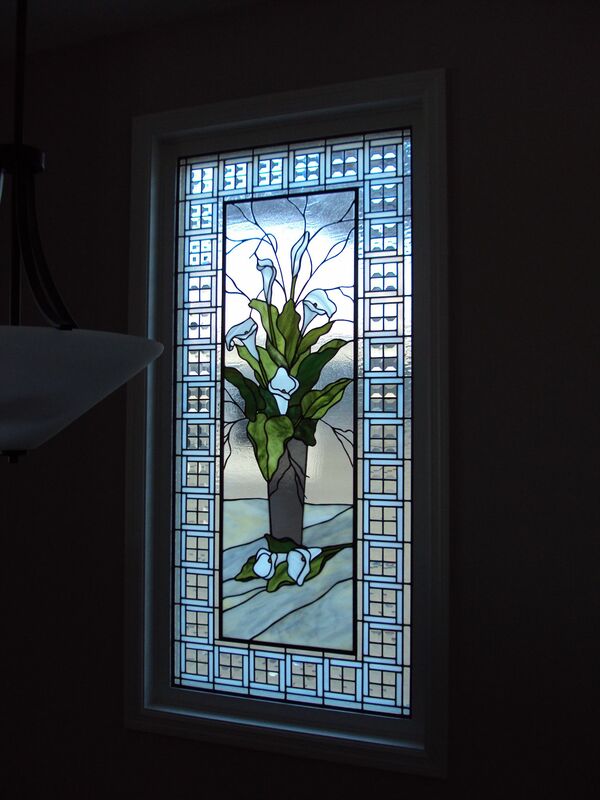 Custom Commission of a Calla Lily Window, 32"w x 65"h. Created this panel as a memorial to my clients mother. She carried calla lilies on her wedding day that her father splurged on for her. Every maker has a story. Be a part of Boom Glass Art's story by placing an order, leaving a review, and seeing your review appear here.